PICNIC WITH PANIC: It doesn't get better than this. 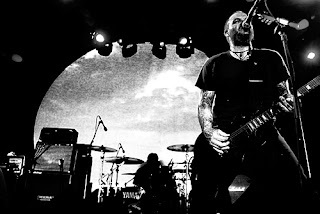 Me and Chrisitan went to see our biggest idols when growing up "Neurosis" in stockholm this tuesday. Man I't can't get much better than this, it was just amazing nothing get even a little bit close to this huge, heavy, so evil. When they finished the set with "the doorway" from times of grace we stod like paralyzed not even able to comprehend how huge experience this was or how good a live act this band is. krille - går du på moln nu jon? jon - ja fan va ja går! Är det satt vilka dagar ni spelar på trästock ännu? Är peppad på att dra en repa till Skellefteå och lyssna på lite musik när jag äntligen är ledig en helg.